When I was new in the Reagan administration, a colleague would worry aloud to me about the bad things he was hearing about the budget negotiations on the Hill. We’re giving away the store, the negotiators aren’t tough enough, they’re throwing in the towel. I tried to study up so I could be alarmed too. But it was hard because my background was Democratic—a Reagan Democrat before that term was popularized—and we just never thought about “the budget.” It wasn’t strictly economic issues that made us conservative; it was a constellation of issues, including taxes and spending. I didn’t see the trajectory of life through “the budget,” and in that respect I was a normal American. That’s how we were, and are. We hire people to make budgets but we’re not accountants, that’s not the American DNA. Anyway my alarm remained insufficient and finally I admitted to my colleague that the way I see it history is long and textured, and specific and discrete legislative actions rarely make or break a great nation. A series of bad, bad budgets can harm a country. A series of good, good budgets can help it. End of story. Two things have changed since those days. The first is that we used to worry the government would go bankrupt, and now we worry that it is bankrupt and no one’s admitting it. This has created an air of considerable crisis. The second happened in the past few years. It is that the government is now unable even to pass a budget, to perform this minimal duty. Instead Congress and the administration lurch from crisis to crisis, from shutdown to debt-ceiling battle. That gives a sense the process itself is broken, and this lends an air of instability, of Third World-ness, to the world’s oldest continuing democracy. We can’t even control our books. We don’t even try. That’s my context for the Ryan-Murray budget deal. Should it be passed? Yes, yes and yes. The good things about it are very good. The idea that Republicans and Democrats are capable of coming to a budget agreement is good. The idea that they can negotiate and make concessions and accept gains is good. The idea the U.S. government is able to produce anything but stasis and acrimony is good. That we can still function even in the age of Obama —good. America looks like a great fool in the world when we have such division and dysfunction we can’t produce a budget. We were the guys who used to make it work! Now our friends are embarrassed for us and our adversaries gloat. The agreement moves us an inch or two in the right direction. Let me tell you what that’s better than: It’s better than moving a few inches in the wrong direction! And it’s better than where we’ve been, in a state of agitated paralysis. It is moderate progress. When the only progress you can win is moderate, take it. The bill contains a little entitlement reform, a little federal worker and military pension reform. These are helpful and, as we say when wearing green eyeshades, the savings will compound in the out years. The reforms are achieved without tax increases—an achievement. The deal breaks the caps for discretionary spending but fortunately leaves most of the sequester intact. Half the new spending will go to defense, which could use some relief, and half to pork. This is not ideal. But it’s real and it’s a budget and it goes in the right general direction, not the wrong one. Some critics have said, bizarrely, that this takes the steam out of a future grand bargain. But where was that elusive bargain? Was anything happening there? It is equally arguable that Ryan-Murray will function as what diplomats call a confidence-building measure. If it passes both houses and garners support in the polls it could encourage both parties toward bigger agreements, such as tax reform. Which America desperately needs in order to grow. The deal benefits both parties. It allows the Democrats to look serious. They haven’t in a while. It makes them look capable of something that is both modest and constructive—unlike ObamaCare, which is neither. They’re trying to get out from under the sullying of their brand. The policy implications are good for the country, so let ’em have what they need. The Republican gain is substantial. The deal avoids upcoming fights over funding the government. The Democrats were going to win those, and in fact would have gotten a twofer. Republicans would be painted, again, as shut-down-the-government nihilists, and everyone’s eyes would have been taken off the ongoing disaster of ObamaCare. Avoiding another shutdown is a big fat Christmas gift for Republicans. They should thank themselves and accept it. More important, the deal helps them look again the way Republicans used to look before they spent a dozen years squandering their reputation. It makes them look like a governing party. Look Ma, they can do something. They can put together an agreement that allows the government to run. They are not only the yelling, hog-stomping opposition, they can still build things that work. You know, Republicans used to be known for that. It was their strong suit—sober at home and sober abroad. Then they got romantic and confused and decided big dramatic things were the way. But the American people, who enjoy drama in their actors, artists and even lately in popes, don’t require drama right now from their government. They are happy for some calm there. Republicans forgot they were the calm center. That whole mess will have to be cleaned up. 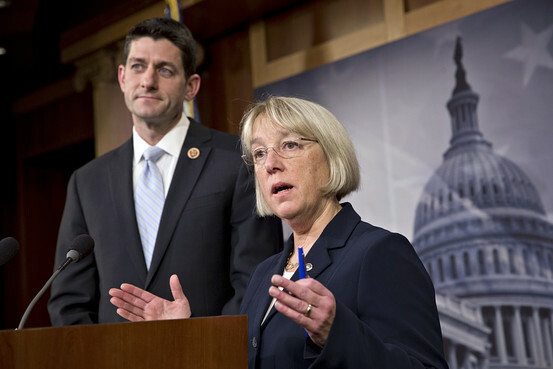 Maybe a budget deal will give Congress a little space—and confidence—in which to attempt it. The deal’s foes can’t just say it isn’t good enough. Of course it’s not good enough! They’re never good enough. “The budget” is just a thing going in the wrong direction or the right direction. This one goes right. Have a good 2014 and it will go righter still. Tea-party lawmakers and their supporters should recognize an opportunity when it appears. They suffer from a reputation of selfishness. They only have to look to their base, they only have to take care of themselves, and do. The Republican Party must operate nationally and make an impression on a big and various nation of 315 million. There are moments when the tea party has to tug the Republicans right. This is a moment when cooperating—backing a deal that is better than the absence of a deal—would be statesmanlike. The thing about statesmen is they’re taken seriously. And it isn’t only Democrats who would benefit from looking serious.